2) using the same tasks (working objects) in evaluating the competences of several specialties (for example, the wall erected in the task of masonry can be used for tiling, plastering and painting works, etc.). Here you can find a QR-code, which can be printed and put on the wall in your workshop. 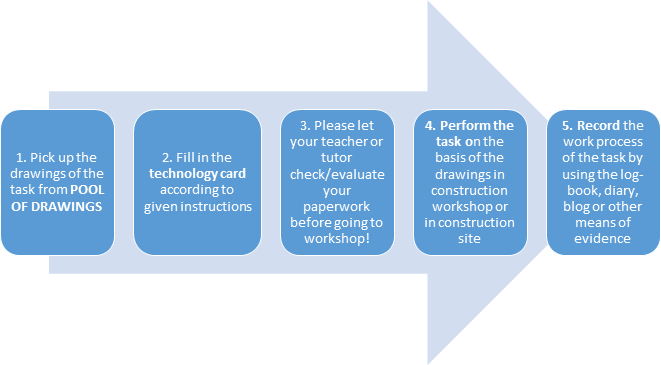 This QR-code opens the main page of Construction tasks in EQVET project webpage.